Резюме. В кратком обзоре литературы представлены данные последних двух десятилетий, позволившие сформировать новый взгляд на роль аутоиммунных процессов в жизнедеятельности организма человека. Рассмотрен вопрос о регуляторных и протективных свойствах аутореактивных нормальных антител, а также их роли в формировании эффективного адаптивного противовирусного иммунного ответа. Обсуждается проблема возможных аутоиммунных осложнений некоторых вирусных заболеваний и противовирусной вакцинации. 1. Кривицкая В.З., Сверлова М.В., Суховецкая В.Ф., Львов Н.И., Васильева И.A., Соминина А.А. Выявление аутореактивных антител класса М у пациентов с респираторными вирусными инфекциями // Медицинская иммунология. — 2008. — Т. 10, № 2–3. — С. 229–238. Krivitskaya V.Z., Sverlova M.V., Sukhovetskaya V.F., L`vov N.I., Vasil`eva I.A., Sominina A.A. Vyyavlenie autoreaktivnykh antitel klassa M u patsientov s respiratornymi virusnymi infektsiyami [Detection of autoreactive immunoglobulin M in patients affected by respiratory viral infections]. Meditsinskaya immunologiya — Medical Immunology, 2008, vol. 10, no. 2–3, pp. 229–238. 2. Кривицкая В.З. Характеристика аутореактивных антител класса IgG у пациентов с острыми респираторными вирусными инфекциями // Цитокины и воспаление. — 2011. — Т. 10, № 2. — С. 21–27. Krivitskaya V.Z. Harakteristika autoreaktivnykh antitel klassa IgG u patsientov s ostrymi respiratornymi virusnymi infektsiyami [Autoreactive immunoglobulin G antibody response in patients with acute respiratory viral infections]. Tsitokiny i vospalenie — Citokines and Inflammation, 2011, vol. 10, no. 2, pp. 21–27. 3. Adeyi O.A. Vascular and glomerular manifestations of viral hepatitis B and C: a review. Semin. Diagn. 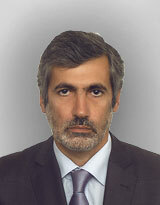 Pathol., 2009, vol. 26, no. 2, pp. 116–121. 4. Baker N., Ehrenstein M. Cutting edge: selection of B lymphocyte subsets is regulated by natural IgM. J. Immunol., 2002, vol. 169, no. 12, pp. 6686–6690. 5. Baumgarth N., Herman O., Jager G., Brown L., Herzenberg L., Chen J. B-1 and B-2 cell-derived immunoglobulin M antibodies are nonredundant components of the protective response to influenza virus infection. J. Exp. Med., 2000, vol. 192, no. 2, pp. 271–280. 6. Baumgarth N., Tung J., Herzenberg L. Inherent specificities in natural antibodies: a key to immune defense against pathogen invasion. Springer Semin. Immunopathol., 2005, vol. 26, no. 4, pp. 347–362. 7. Bhol K., Natarajan K., Nagarwalla N., Mohimen A., Aoki V., Ahmed A.R. Correlation of peptide specificity and IgG subclass with pathogenic and nonpathogenic autoantibodies in pemphigus vulgaris: a model for autoimmunity. Proc. Natl. Acad. Sci. USA, 1995, vol. 92, no. 11, pp. 5239–5243. 8. Boes M., Esau C., Fischer M., Schmidt T., Carroll M., Chen J. Enhanced B-1 cell development, but impaired IgG antibody responses in mice deficient in secreted IgM. J. Immunol., 1998, vol. 160, pp. 4776–4787. 9. Boes M., Schmidt T., Linkemann K., Beaudette B., Marshak-Rothstein A., Chen J. Accelerated development of IgG autoantibodies and autoimmune disease in the absence of secreted IgM. Proc. Natl. Acad. Sci. USA, 2000, vol. 97, no. 3, pp. 1184–1189. 10. Bonagura V., Agostino N., Borretzen M., Thompson K., Natvig J., Morrison S. Mapping IgG epitopes bound by rheumatoid factors from immunized controls identifies disease-specific rheumatoid factors produced by patients with rheumatoid arthritis. J. Immunol., 1998, vol. 160, no. 5, pp. 2496–2505. 11. Brändlein S., Pohle T., Ruoff N., Wozniak E., Müller-Hermelink H.-K., Vollmers H. Natural IgM antibodies and immunosurveillance mechanisms epithelial cancer cells in humans. Cancer Res., 2003, vol. 63, pp. 7995–8005. 12. Cabiedes J., Cabral A., Lopez-Mendoza A., Cordero-Esperon A., Huerta M., Alarcon-Segovia D. Characterization of anti-phosphatidylcholine polyreactive natural utoantibodies from normal human subjects. J. Autoimmun., 2002, vol. 18, no. 2, pp. 181–190. 13. Craig M.E., Nair S., Stein H., Rawlinson W.D. Viruses and type 1 diabetes: a new look at an old story. Pediatr. Diabetes., 2013, vol. 14, no. 3, pp. 149–158. 14. Drexler S.K., Foxwell B.M. The role of Toll-like receptors in chronic inflammation. Int. J. Biochem. Cell Biol., 2010, vol. 42, no. 4, pp. 506–518. 15. Dumoulin F., Leifeld L., Sauerbruch T., Spengler U. Autoimmunity induced by interferon-alpha therapy for chronic viral hepatitis. Biomed. Pharmacother., 1999, vol. 53, no. 5–6, pp. 242–254. 16. Ehrenstein M., Katz D., Griffiths M., Papadaki L., Winkler T., Kalden J.,Isenberg D. Human IgG anti-DNA antibodies deposit in kidneys and induce proteinuria in SCID mice. Kidney Int., 1995, vol. 48, no. 3, pp. 705–711. 17. Ercolini A.M., Miller S.D. The role of infections in autoimmune disease. Clin. Exp. Immunol., 2009, vol. 155, no. 1, pp. 1–15. 18. Evans D., Cauchemez S., Hayden F.G. «Prepandemic» immunization for novel influenza viruses, «swine flu» vaccine, Guillain–Barré syndrome, and the detection of rare severe adverse events. J. Infect. Dis., 2009, vol. 200, no. 3, pp. 321–328. 19. Fehr T., Bachmann M.F., Bucher E., Kalinke U., Di Padova F.E., Lang A.B., Hengartner H., Zinkernagel R.M. Role of repetitive antigen patterns for induction of antibodies against antibodies. J. Exp. Med., 1997, vol. 185, no. 10, pp. 1785–1792. 20. Forster J., Maier O., Löbbert J., Kaufmehl K., Streckert H.J., Werchau H. Prevalence of antibodies against HEp-2 cell antigen in infants and children hospitalized with respiratory syncytial virus infection. Infection, 1996, vol. 24, no. 6, pp. 407–411. 21. Fujinami R.S., von Herrath M.G., Christen U., Whitton J.L. Molecular mimicry,bystander activation, or viral persistence: infections and autoimmune disease. Clin. Microbiol. Rev., 2006, vol. 19, no. 1, pp. 80–94. 22. Grönwall C., Vas J., Silverman G.J. Protective Roles of Natural IgM Antibodies. Front. Immunol., 2012, vol. 3, article 66. 23. Guglielmone H., Vitozzi S., Elbarcha O., Fernandez E. Cofactor dependence and isotype distribution of anticardiolipin antibodies in viral infections. Ann. Rheum. Dis., 2001, vol. 60, no. 5, pp. 500–504. 24. Hahm K., Im Y., Lee C., Parks W., Bang Y., Green J., Kim S. Loss of TGF-beta signaling contributes to autoimmune pancreatitis. J. Clin. Invest., 2000, vol. 105, no. 8, pp. 1057–1065. 25. Hasegawa M., Fujimoto M., Takehara K., Sato S. Pathogenesis of systemic sclerosis: altered B cell function is the key linking systemic autoimmunity and tissue fibrosis. J. Dermatol. Sci., 2005, vol. 39, no. 1, pp. 1–7. 26. Kaiser L., Fritz R., Straus S., Gubareva L., Hayden F. Symptom pathogenesis during acute influenza: interleukin-6 and other cytokine responses. J. Med. Virol., 2001, vol. 64, no. 3, pp. 262–268. 27. Kajon A., Gigliotti A., Harrod K. Acute inflammatory response and remodeling of airway epithelium after subspecies B1 human adenovirus infection of the mouse lower respiratory tract. J. Med. Virol., 2003, vol. 71, no. 2, pp. 233–244. 28. Kaveri S.V. Intravenous immunoglobulin: exploiting the potential of natural аntibodies. Autoimmun Rev., 2012, vol. 11, no. 11, pp. 792–794. 29. Kerr J., Barah F., Mattey D., Laing I., Hopkins S., Hutchinson I., Tyrrell D. Circulating tumour necrosis factor-alpha and interferon-gamma are detectable during acute and convalescent parvovirus B19 infection and are associated with prolonged and chronic fatigue. J. Gen. Virol., 2001, vol. 82, pt. 12, pp. 3011–3019. 30. Kim J. Identification of a human monoclonal natural IgM antibody that recognizes early poptotic cells and promotes phagocytosis. Hybridoma (Larchmt), 2010, vol. 29, no. 4, pp. 275–281. 31. Kobayashi N., Bagheri N., Nedrud J., Strieter R., Tomino Y., Lamm M., Emancipator S. Differential effects of Sendai virus infection on mediator synthesis by mesangial cells from two mouse strains. Kidney Int., 2003, vol. 64, no. 5, pp. 1675–1684. 32. Korganow A.S, Ji H., Mangialaio S., Duchatelle V., Pelanda R., Martin T., Degott C., Kikutani H., Rajewsky K., Pasquali J.L., Benoist C., Mathis D. From systemic T cell self-reactivity to organ-specific autoimmune disease via immunoglobulins. Immunity, 1999, vol. 10, no. 4, pp. 451–461. 33. Krebs P., Kurrer M.O., Kremer M., De Giuli R., Sonderegger I., Henke A., Maier R., Ludewig B. Molecular mapping of autoimmune B cell responses in experimental myocarditis. J. Autoimmun., 2007, vol. 28, no. 4, pp. 224–233. 34. Lacroix-Desmazes S., Moreau A., Sooryanarayana, Bonnemain C., Stieltjes N., Pashov A., Sultan Y., Hoebeke J., Kazatchkine M.D., Kaveri S.V. Catalytic activity of antibodies against factor VIII in patients with hemophilia A. Nat. Med., 1999, vol. 5, no. 9, pp. 1044–1047. 35. Lasky T., Terracciano G.J., Magder L., Koski C.L., Ballesteros M., Nash D., Clark S., Haber P., Stolley P.D., Schonberger L.B., Chen R.T. The Guillain–Barré syndrome and the 1992–1993 and 1993–1994 influenza vaccines. N. Engl. J. Med., 1998, vol. 339, no. 25, pp. 1797–1802. 36. Lawson C. Evidence for mimicry by viral antigens in animal models of autoimmune disease including myocarditis. Cell. Mol. Life. Sci., 2000, vol. 57, no. 4, pp. 552–560. 37. Li Z., Nardi M.A., Karpatkin S. Role of molecular mimicry to HIV-1 peptides in HIV-1-related immunologic thrombocytopenia. Blood, 2005, vol. 106, no. 2, pp. 572–576. 38. Liang B., Gardner D., Griswold D., Bugelski P., Song X.Anti-interleukin-6 monoclonal antibody inhibits autoimmune responses in a murine model of systemic lupus erythematosus. Immunology, 2006, vol. 119, no. 3, pp. 296–305. 39. Liu K., Iyoda T., Saternus M., Kimura Y., Inaba K., Steinman R.M. Immune tolerance after delivery of dying cells to dendritic cells in situ. J. Exp. Med., 2002, vol. 196, no. 8, pp. 1091–1097. 40. Mackay F., Silveira P.A., Brink R. B cells and the BAFF/APRIL axis: fast-forward on autoimmunity and signaling. Curr. Opin. Immunol., 2007, vol. 19, no. 3, pp. 327–336. 41. Martin D.A., Elkon K.B. Autoantibodies make a U-turn: the toll hypothesis for autoantibody specificity. J. Exp. Med., 2005, vol. 202, no. 11, pp. 1465–1469. 42. McNamara P., Flanagan B., Selby A., Hart C., Smyth R. Pro- and anti-inflammatory responses in respiratory syncytial virus bronchiolitis. Eur. Respir. J., 2004, vol. 23, no. 1, pp. 106–112. 43. Meite M., Leonard S., Idrissi M., Izui S., Masson P., Coutelier J. Exacerbation of autoantibody-mediated hemolytic anemia by viral infection. J. Virol., 2000, vol. 74, no. 13, pp. 6045–6049. 44. Mevorach D., Zhou J.L., Song X., Elkon K.B. Systemic exposure to irradiated apoptotic cells induces autoantibody production. J. Exp. Med., 1998, vol. 188, no. 2, pp. 387–392. 45. Moisini I., Davidson A. BAFF: a local and systemic target in autoimmune diseases. Clin. Exp. Immunol., 2009, vol. 158, no. 2, pp. 155–163. 46. Murawski M.R., Bowen G.N., Cerny A.M., Anderson L.J., Haynes L.M., Tripp R.A., Kurt-Jones E.A., Finberg R.W. Respiratory syncytial virus activates innate immunity through Toll-like receptor 2. J. Virol., 2009, vol. 83, no. 3, pp. 1492–1500. 47. Nachamkin I., Shadomy S.V., Moran A.P., Cox N., Fitzgerald C., Ung H., Corcoran A.T., Iskander J.K., Schonberger L.B., Chen R.T. Anti-ganglioside antibody induction by swine (A/NJ/1976/H1N1) and other influenza vaccines: insights into vaccine-associated Guillain–Barré syndrome. J. Infect. Dis., 2008, vol. 198, no. 2, pp. 226–233. 48. Orbach H., Agmon-Levin N., Zandman-Goddard G. Vaccines and autoimmune diseases of the adult. Discov. Med., 2010, vol. 9, no. 45, pp. 90–97. 49. Paolieri F., Salmaso C., Battifora M., Montagna P., Pesce G., Bagnasco M., Richiusa P., Galluzzo A., Giordano C. Possible pathogenetic relevance of interleukin-1 beta in «destructive» organ-specific autoimmune disease (Hashimoto’s thyroiditis). Ann. N.Y. Acad. Sci., 1999, vol. 876, pp. 221–228. 50. Pashov A., Kenderov A., Kyurkchiev S., Kehayov I., Hristova S., Lacroix-Desmazes S., Giltiay N., Varamballi S., Kazatchkine M., Kaveri S. Autoantibodies to heat shock protein 90 in the human natural antibody repertoire. Internat. Immunol., 2002, vol. 14, no. 5, pp. 453–461. 51. Portocala R., Spyrou N., Lambropoulou V., Pateraki E. The presence of both antivirus and antiself antibodies in sera from patients with adenovirus and influenza B. Virologie, 1988, vol. 39, no. 3, pp. 207–216. 52. Reed J.L., Welliver T.P., Sims G.P., McKinney L., Velozo L., Avendano L., Hintz K., Luma J., Coyle A.J., Welliver R.C. Innate immune signals modulate antiviral and polyreactive antibody responses during severe respiratory syncytial virus infection. J. Infect. Dis., 2009, vol. 199, no. 8, pp. 1128–1138. 53. Richer M.J., Fang D., Shanina I., Horwitz M.S. Toll-like receptor 4-induced cytokine production circumvents protection conferred by TGF-beta in coxsackievirus-mediated autoimmune myocarditis. Clin. Immunol., 2006, vol. 121, no. 3, pp. 339–349. 54. Saha S., Tieng A., Pepeljugoski K.P., Zandamn-Goddard G., Peeva E. Prolactin,systemic lupus erythematosus, and autoreactive B cells: lessons learnt from murine models. Clin. Rev. Allergy Immunol., 2011, vol. 40, no. 1, pp. 8–15. 55. Roosnek E., Lanzavecchia A. Efficient and selective presentation of antigen-antibody complexes by rheumatoid factor B cells. J. Exp. Med., 1991, vol. 173, no. 2, pp. 487–489. 56. Salonen E.M., Vaheri A., Suni J., Wager O. Rheumatoid factor in acute viral infections: interference with determination of IgM, IgG, and IgA antibodies in an enzyme immunoassay. J. Infect. Dis., 1980, vol. 142, no. 2, pp. 250–255. 57. Sané F., Moumna I., Hober D. Group B coxsackieviruses and autoimmunity: focus on type 1 diabetes. Expert. Rev. Clin. Immunol., 2011, vol. 7, no. 3, pp. 357–366. 58. Sangster M., Topham D., D’Costa S., Cardin R., Marion T., Myers L., Doherty P. Analysis of the virus-specific and nonspecific B cell response to a persistent B-lymphotropic gammaherpesvirus. J. Immunol., 2000, vol. 164, no. 4, pp. 1820–1828. 59. Tzang B.S., Lee Y.J., Yang T.P., Tsay G.J., Shi J.Y., Tsai C.C., Hsu T.C. Induction of antiphospholipid antibodies and antiphospholipid syndrome-like autoimmunity in naive mice with antibody against human parvovirus B19 VP1 unique region protein. Clin. Chim. Acta, 2007, vol. 382, no. 1–2, pp. 31–36. 60. Ulvestad E., Kanestrøm A., Tengnér P., Gjerde S., Sundal J., Haga H.J. Anti-cardiolipin autoantibodies and pulmonary embolism. A case for a common cause. Scand. J. Rheumatol., 2000, vol. 29, no. 5, pp. 330–333. 61. Utz P.J., Anderson P. Posttranslational protein modifications, apoptosis, and the bypass of tolerance to autoantigens. Arthritis Rheum., 1998, vol. 41, no. 7, pp. 1152–1160. 62. Zhang M., Carroll M.C. Natural IgM-mediated innate autoimmunity: a new target for early intervention of ischemia-reperfusion injury. Expert. Opin. Biol. Ther., 2007, vol. 7, no. 10, pp. 1575–1582. 63. Zhen Q., Xie Ch., Wu T., Mackay M., Aranow C., Putterman C., Mohan Ch. Identification of autoantibody clusters that best predict lupus disease activity using glomerular proteome arrays. J. Clin. Invest., 2005, vol. 115, no. 12, pp. 3428–3439. 64. Zhou Z.H., Tzioufas A.G., Notkins A.L. Properties and function of polyreactive antibodies and polyreactive antigen-binding B cells. J. Autoimmun., 2007, vol. 29, no. 4, pp. 219–228.